This outfit formula has been going down well with my business casual clients this season as we head into warmer temperatures. It’s on trend, comfortable and just flattering enough. It combines a fluid and untucked high-low top with slim-fit trousers that aren’t skintight. It finishes off the look with an indoor jacket and refined footwear, which adds structure back into the outfit. Fluid High-Low Top: BCBG’s Ayana Oversized Scarf Shirt has a dramatic high-low hemline. But if you wear it over low-contrast black pants instead of the houndstooth pattern below, the effect of the shirttail is less visible and dramatic. Slim-Fit Pants: Sloan-Fit Houndstooth Ankle Pants create a subtle pattern mixed effect. These pants are stretchy and you might need to size up. Wear them at a flattering length. Structured Topper: The Loft Lace Blazer is tuxedo-esque and pretty structured on the shoulder and sleeves, which is all you need to make this outfit look conventionally attractive. The open shape of the jacket matches the flow of the roomy blouse. If matching lace with pattern is too much of a stretch for your style, try a solid double weave open jacket in a similar silhouette. Refined Footwear: Vince’s Aurelian Pump is two toned with fashionable d’Orsay detailing. Super soft, low heeled and comfortable. Size down half a size to prevent slipping out of the style. Works relatively well on high volume feet. If classic blazers, Chanel-esque jackets or lightweight moto jackets are your thing, wear those topper silhouettes OPEN instead of the tuxedo-esque style that I’ve shown here. Silky track pants also work quite well in this formula, but then you will either rely more heavily on the topper to provide structure to the outfit, or partially tuck the front of the top to create a hint of waistline. I’ve also seen this formula work with bootcut trousers that are fitted on the thigh. Feel free to throw in dressy slipper flats or loafers if heels are not an option. Or caged sandals if open toe shoes are permitted at work. Finally, wear a sleeved top under the jacket if sleeveless dressing is not your cup of tea and you might need to remove the jacket for a breezy break. 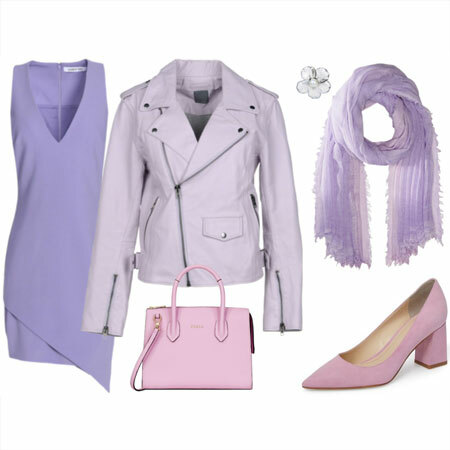 This is a beautiful look for warm weather business wear, thank you so much for the wonderful ideas! 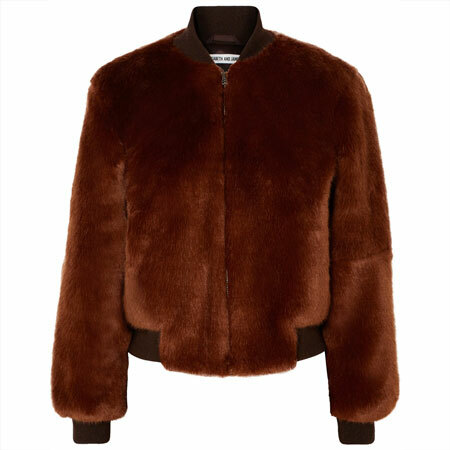 My blazer – it should be arriving tomorrow! What a great look, Angie. Right about now I’m wishing I had every piece in this post – we have a party to go to tomorrow (people I don’t know) and I am flummoxed as to what to wear. Soft, refined and elegant. Does not get better than this!! I think if I had this look worked out, I would be set for most of my casual life style needs. Beautiful combination that can be dressed up or down. I can’t wait to play in my closet as I probably already have most pieces. Ayana is such a beautiful piece! Thanx for the roundup Angie, and as I’ll be MIA by the holidays, I wanted to wish everybody Happy Easter! That lace blazer from Loft is gorgeous! I especially love it in navy. What a beautiful formula Angie! I find myself wanting each and every piece, even though business casual is something I rarely do. The lac blazer is stunning. Would work perfectly for my workplace. Alright, now I’m on the hunt for subtly patterned pants. gorgeous outfit formula. Thanks for giving us multiple options to think about as we plan spring wardrobes this year Angie. So lovely! And perfect for a business casual office. Gorgeous combination! 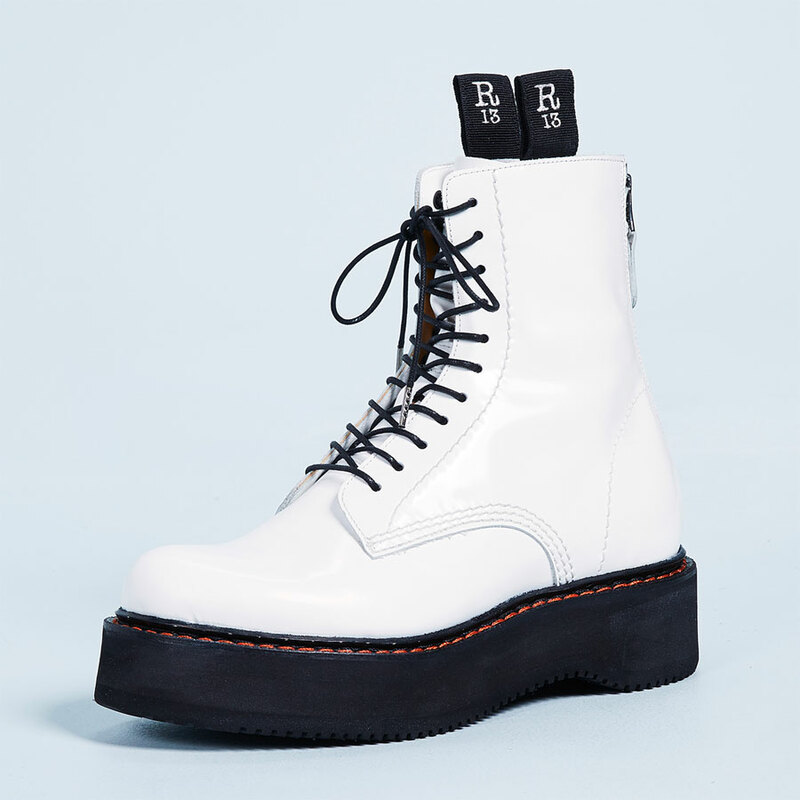 I’m drooling over the shoes…. Great ideas, even for those of us who don’t really do “business”. I’s love to borrow this formula and modify it for sharp casual GOTG. Thanks, Angie. I just ordered those Sloans in two sizes and at 40% off on their website. I may need to fine-tune the length, I will go back to the post that you linked. This whole outfit and each individual piece really appeal to me. I wish my lifestyle could justify the price of that scarf top. I need to check out ATL pants in the hope that they might fit my flat rear. I love this whole concept and all these pieces. 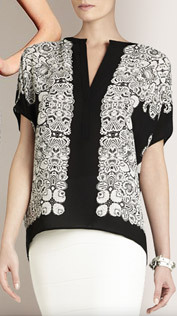 I might try the BCBG blouse, though it’s bit more dramatic than I’m accustomed to. I love the Loft jacket. Too bad the off-white seems to be sold out. Maybe it will come back! Wow, that scarf top is gorgeous…I might “need” that! I want to try this combination. Love every piece of this, but especially love the houndstooth Sloans, I’ve been on the hunt for a pair and would prefer them in a year round length as I live in a colder climate. The long sizes are sold out…does anyone know where a longer version of a houndstooth trouser might be found? I never thought I would call business wear appealing, but these soft fluid pieces are just that. Although I no longer need them for work, I could certainly use them for other somewhat dressy activities. I love this formula. Perfection. Great ideas for alleviating business casual boredom! I have those exact pants and they are workhorses. So glad to see them back in stock. I love this. It looks pulled together without being too overdone. And those Vince pumps are to die for! Love it! A little to casual for my workplace, but I would totally rock this look on the weekend! I love the print top! A fabulous formula that while business casual could also work for any adult outing for a SAHM!!!!! This formula is perfect for my work environment. I love the color of the double weave LOFT jacket in the blue color! I’m going to be near a LOFT tomorrow so I’m hoping they have it. That IS my perfect formula. I usually go for flats except on Monday meeting days. I am on the hunt for new spring layering tops. 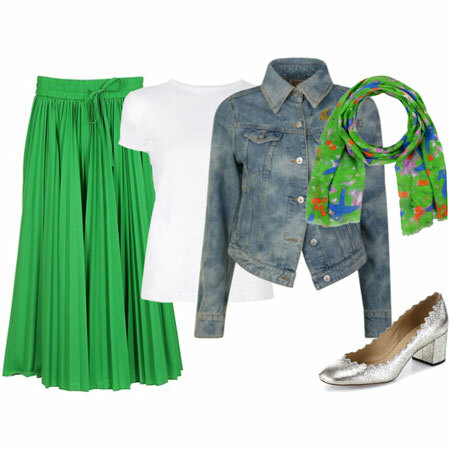 Fun outfit formula. This look really freshens up a business casual capsule. This is so my style……classy, smart casual……and I can shop my wardrobe to put it together. Hope all the YLF folk have a peaceful and safe Easter break. I love this look! Especially the high low top. I would have to wait until it went on sale; its quite spendy! But I have all the other pieces to make this look. Lovely! pretty, non-stuffy outfit. A far cry from an office drone suit. I wonder what you mean by “refined footwear”, Angie ? Does it have to do with the formality ? Material ? Thickness of the sole ? Can a casual shoe be refined ? 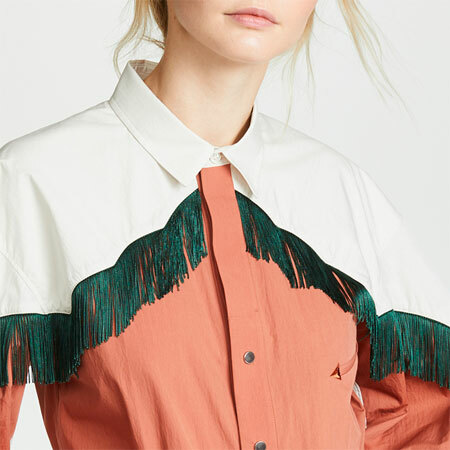 I fell in love at first sight with that blouse. It’s on sale at Zappos and 6pm. Some beautiful pieces and ideas that I can translate for my lifestyle too, even though it’s more casual. This is so soft and pretty! I don’t really need to do business casual much, but I could see wearing this to lab if I switched out the shoes to something less dressy like flat oxfords or even gladiators. I have been loving fluid high low tops but have not found the right one to add to my closet. I love this look and think it’s a perfect business casual look. I’m glad that this formula is providing outfit inspiration for your own style. Skylurker, refined footwear is NOT chunky – and yes – it can be casual. 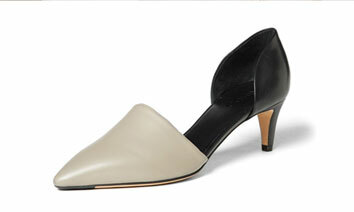 But usually, refined footwear is relatively more dressy, dainty and tailored. Refined and Chunky are on a continuum if you know what I mean. A pair of moto boots can find itself anywhere on that continuum depending on the style. Hope that makes sense. I love this outfit, Angie! You are so great at coming up with ensemble ideas. The houndstooth pants are tempting and I see Pil’s blazer there! Thanks for taking the time to answer Angie, I really appreciate it. NOT chunky, I’ll keep that in mind. I have this blazer (was one of the should I keep three white jackets I posted pix about recently) AND the pants, by coincidence. I’ll just gloat a little and say I caught a brief 50 percent off online sale at Loft. I’ll have to see how they roll together. 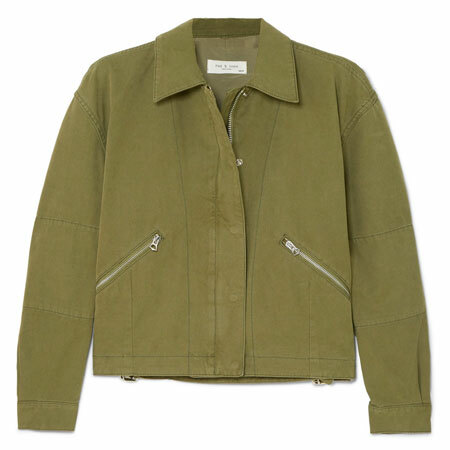 The jacket would be a teense better if more white and less ecru. I have a few black and white tops, but I think on most of them, the white is too white for the blazer. I love that scarf top. So pretty! I have such a soft spot for hi-lo tops. As usual your business ensembles make me wish I had another shot at the corporate grind. Dressing would be so much fun now that I have some YLF Fashion School under my belt. I think it would bring out a whole different aspect to my style. Love the jacket. I hope someone(s) model their version of this! I’ve had my eye on the houndstooth pants. With 40% off at BR, I think I’ll order. Total love here…off to the shoe website!! Love the look of the high low blouse I hadn’t considered it before. Check on the other pieces!!! Love it! Bought my second pair of those ankle pants today. I’ve worn that patterned pair religiously! I’m excited to see your renditions on the forum. Lovely pieces! This formula is perfect for my workplace.